There is life after. Really there is; just ask Marcia Clark–you know the one. It seems Ms. Clark has found a way to mix together her training as an attorney and her passion as a writer and come out stronger than before with her thriller series of novels featuring prosecutor Rachel Knight. Who would have thought it? 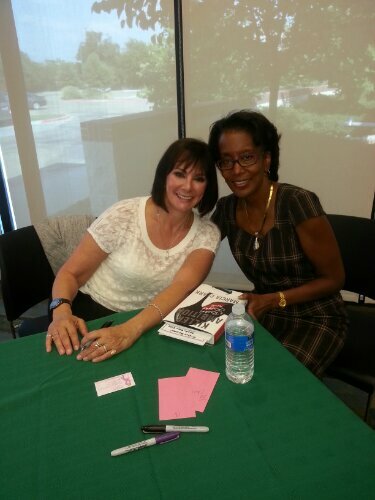 Ms. Clark was recently in Keller, Texas for two events where she discussed and answered questions about her novels. Yes, there were questions about other things, but I was most interested in her reinvention–life after. She did not disappoint. Her discussion at the Keller public library was entertaining and informative. She took the time to sign books, talk with patrons and she seemed to enjoy the afternoon. Sometimes we get stuck in the past, but there is life after. Remember “thisisyourbestyear”.